• 12 people like this. Do you like this? 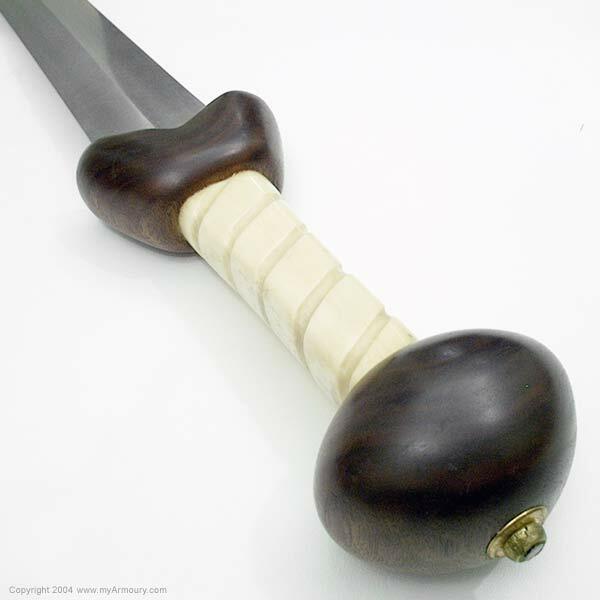 The "Gladius Hispaniensis" or Spanish sword was the sword adopted by the Roman armies during the period of the Republic. 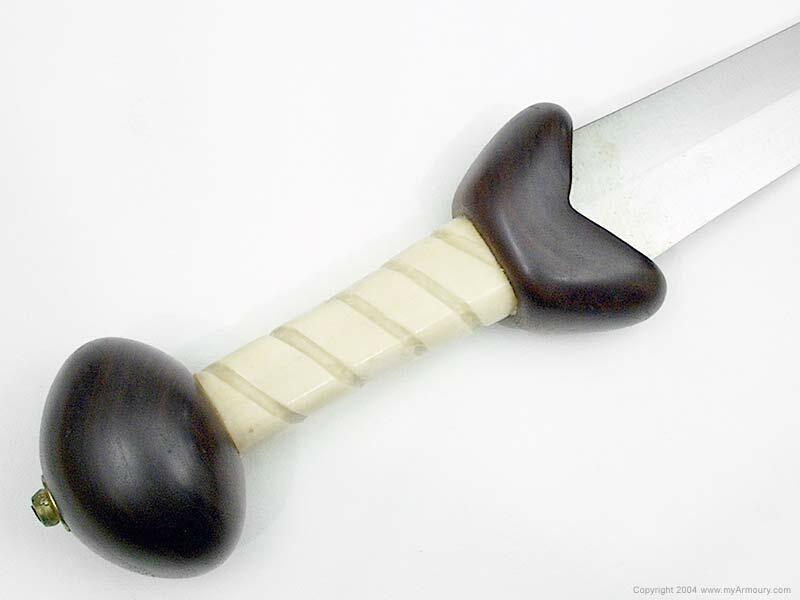 Recent research shows that the Romans adopted the native Iberian blades, which were in turn directly adopted from Celtic La Tène blades of the early Middle La Tène (La Tène II A) period. 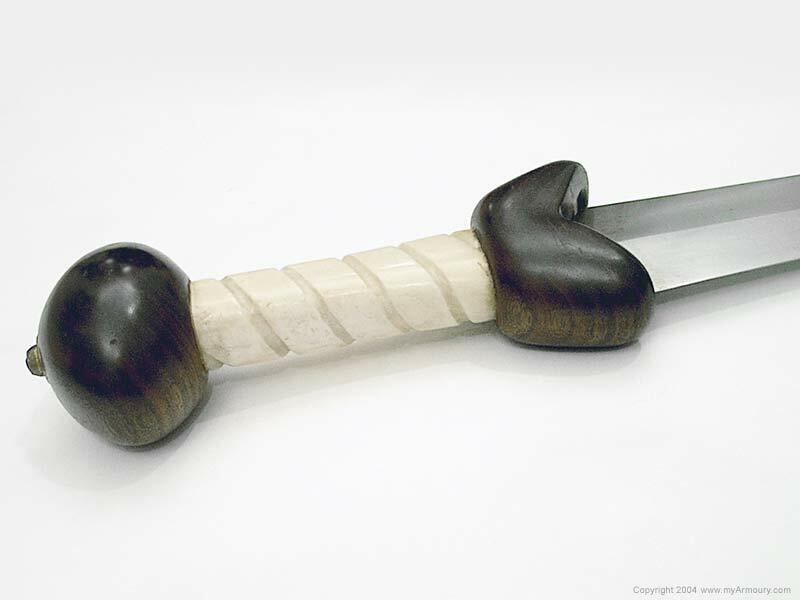 Most often, these blade were somewhat slender, with slight taper until the last 1/3 of the blade, where the point tapered dramatically. 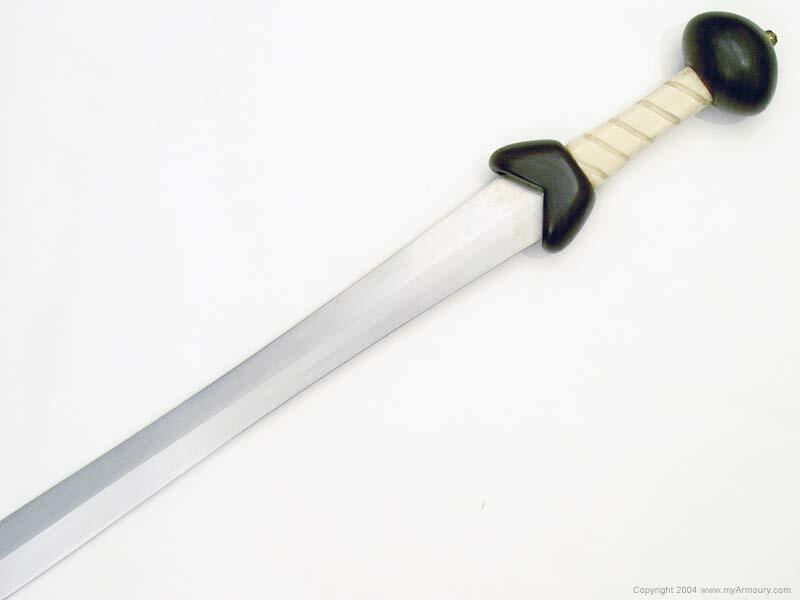 The Roman influence brought a subtle waisting to these blades, echoing the earlier Xiphos type sword that the Hispaniensis replaced. 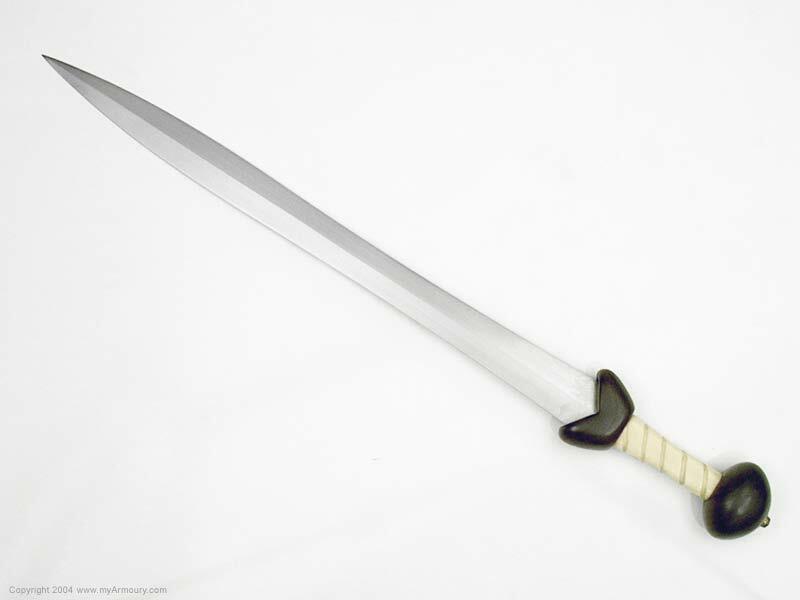 This replica's blade is rendered in 5160 steel, made by Mark Morrow. 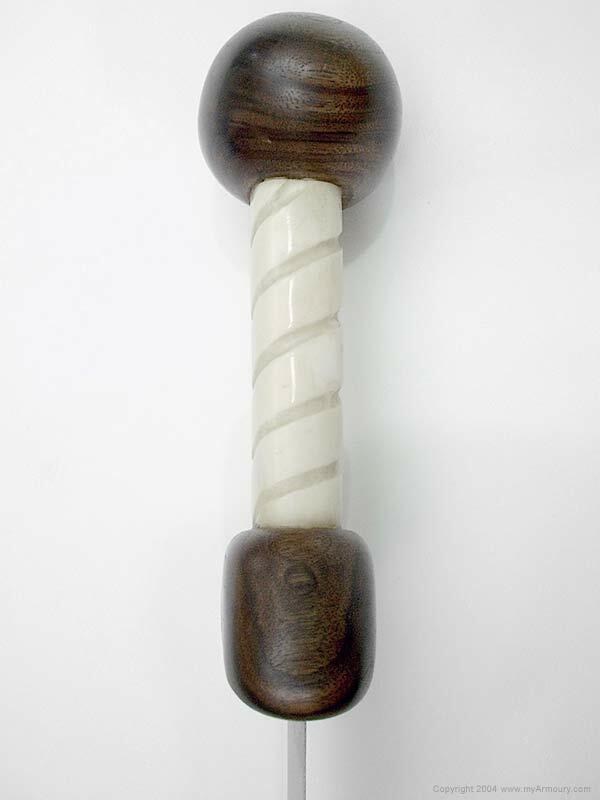 It closely replicates an original found at Smihel, Slovenia. 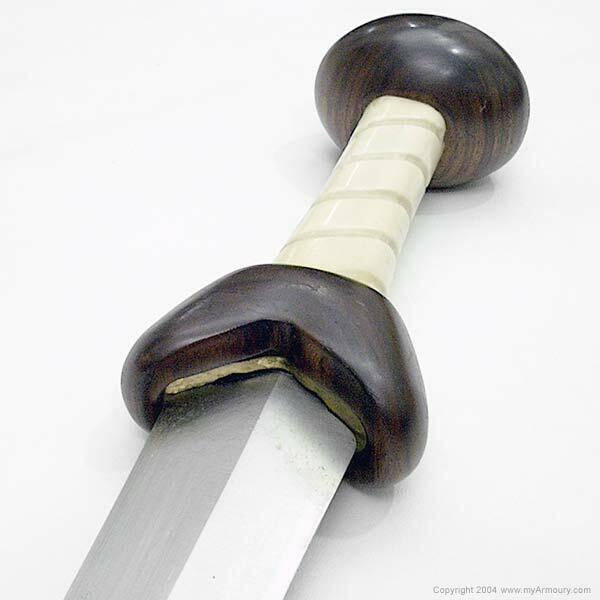 This blade is at the upper end of both length and breadth spectrum for a Hispaniensis. 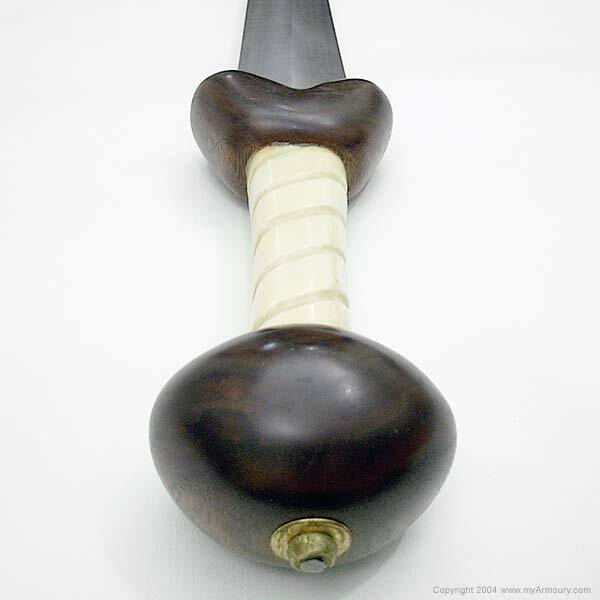 The owner has hilted the blade in naturally harvested and hand-carved walnut and bovine shin-bone, with a simple brass shoulder plate and pommel nut. 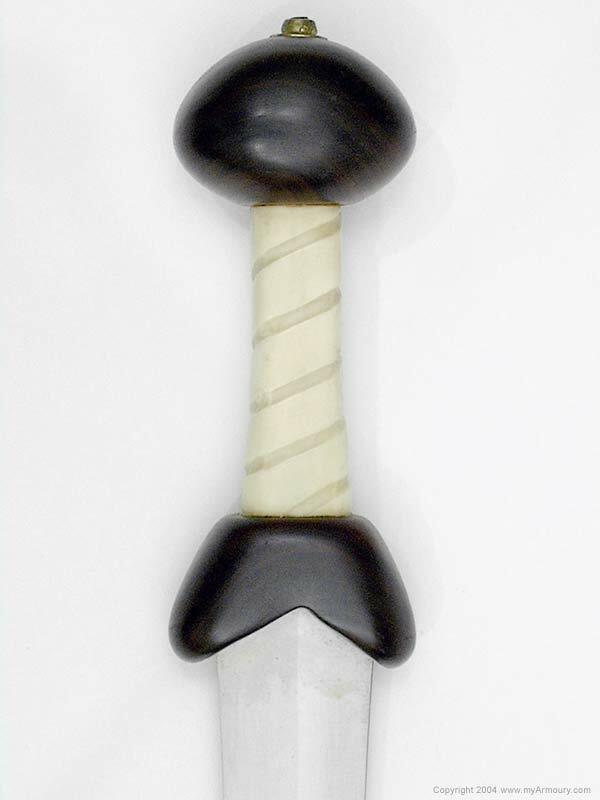 The shape of the hilt is speculated, using evidence from the isle of Delos gladius and other period sources. 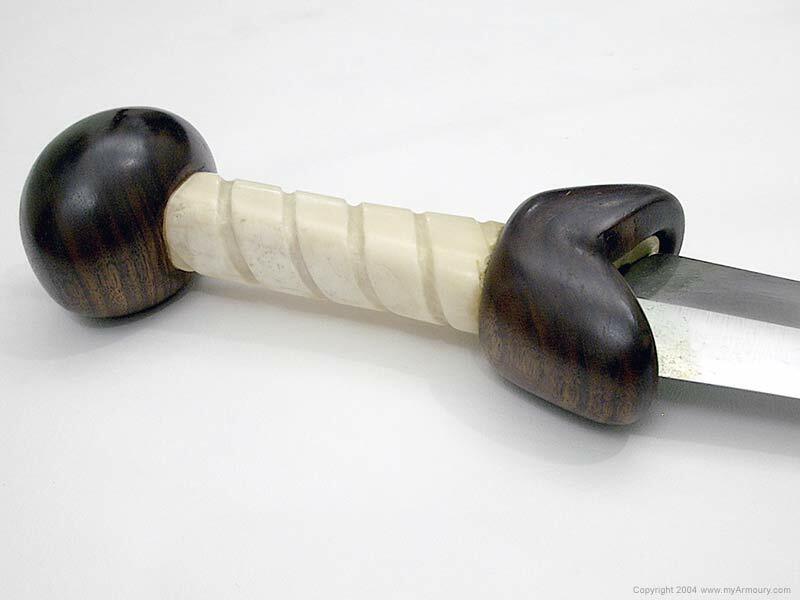 Blade: 26.625" long; 2.06" wide > 1.875" > .875"
Maker: Mark Morrow and Nate Bell.